I probably have a bowl of soup 4-5 days a week in winter. That’s how much I like a hearty flavoursome soup, but having a soup in hot summer is a bit of challenge. 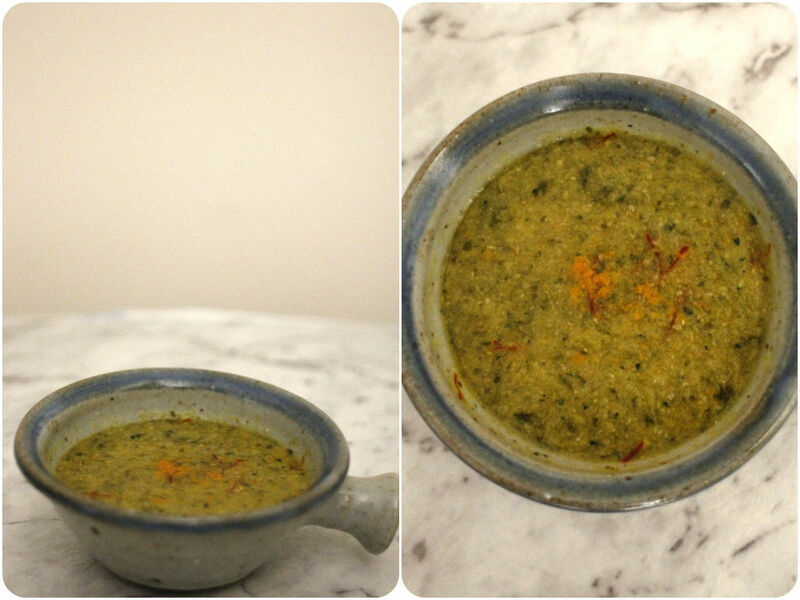 I made this cold soup with leftover veggies in the fridge. It’s a great way of using up the leftover, especially all the tough stems of celery, broccoli, coriander, spring onion, leek, etc. Do not waste those bottom bits because there is so much goodness in them and they actually taste awesome. 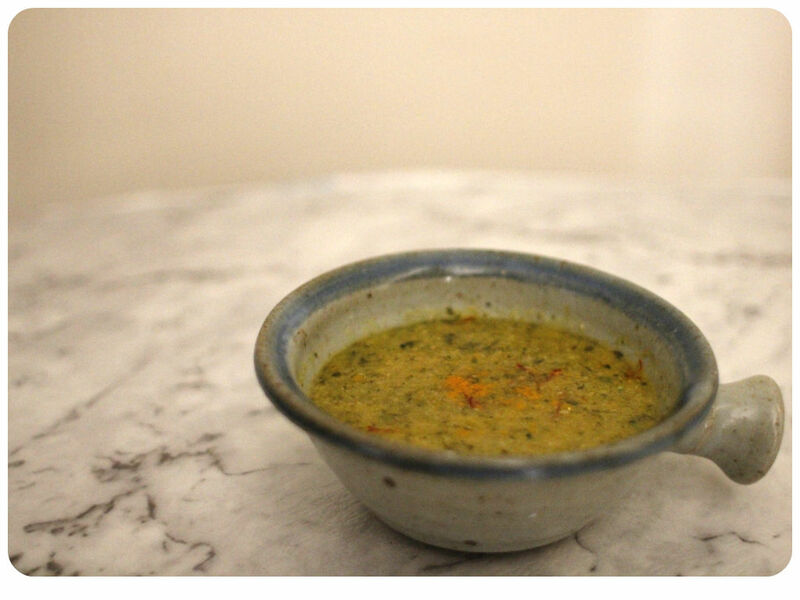 You can make a chilled soup like this or use for making your own vegetable stock. Cook chopped vegetables with coconut oil in a large pot until cooked. Season and add turmeric powder and cayenne pepper as they cook. Add stock or water, bring it up to boil and simmer for 10 minutes. Turn off the heat and let it cool slightly. Puree the soup with a stick blender. Pour into soup bowls and sprinkle saffron. Chill the soup in the fridge for an hour or more. Top with a dollop of creme before serve if you wish.